Minor chips and scratches can wreak havoc on a car windshield. 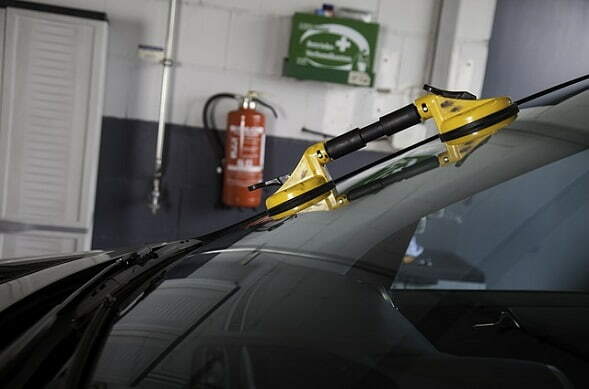 Windscreen chip repair is essential because of the relative unpredictability of glass. Other times, the crack could run halfway down the glass and otherwise be completely fine. At worst, they might make road visibility a bit more challenging. Instant windscreens and repairs are necessary, for safety reasons. You never know when even the smallest hint of damage might cause the whole thing to fall apart. One of the more persistent reasons for windscreen chip repair is stones. Small stones and rocks can get swept up by the wind. Most of the time, they’re too small to be a huge problem. Other times, they are moving fast enough that they can crack – if not shatter – the glass. While you can’t prevent rocks from making an impact on your glass, you can rest assured that most windscreens are in fact capable of withstanding them. It takes a rare combination of speed, size, and force to do significant damage. When said “significant damage” happens, windscreen chip repair must happen fast. Here, we take pride in our “repair first” mindset. We will do everything we can to salvage a chipped or cracked screen. Only if there is no another way will we recommend a complete replacement? In the end, this can save you both time and money.